Though it's been the European norm for ages, many North Americans are now making the choice to sacrifice the comfort of a large living space. There are several reasons for this lifestyle shift, which can be entirely dependent on the individual. Though it's been the European norm for ages, many North Americans are now making the choice to sacrifice the comfort of a large living space. There are several reasons for this lifestyle shift, which can be entirely dependent on the individual. Perhaps they desire convenience, which is usually out of the question when you have to manage and care for a large home. Others are opting for a dynamic urban environment with easy access to amenities. For some, price point is a major concern, and so downsizing saves them on living expenses. But another likely reason could even be that these individuals are committed to reducing their carbon footprint and understand that their lifestyle changes can lead to a positive impact. Whatever the reason, micro living or living in small spaces doesn't mean you have to be limited in your lifestyle luxuries. It simply means that you need to become a master at simplifying, and fine-tune your organizational skills in order to maximize space. There are plenty of space saving and living tips available to the modern day urban dweller which can show us just how easy it is to live smaller. At the forefront of micro living trends we have micro apartments. These are compact units that are anywhere from 200 to 400 square feet. They cater to individuals who desire the excitement of downtown urban living, without the sticker shock. Often times, the property developers of micro apartment buildings are utilizing recycled shipping containers and other materials to keep the costs down. The apartment layout itself is typically very functional, with fold out beds, sliding cupboards, and plenty of hidden storage space. Another evolving micro living concept is the Tiny Home design. These are similar to micro apartments in their design and layout but they are detached homes which may cater more to certain individuals or couples. Major international cites such as London, Paris, Barcelona, and Tokyo are no stranger to the concept of micro apartments. 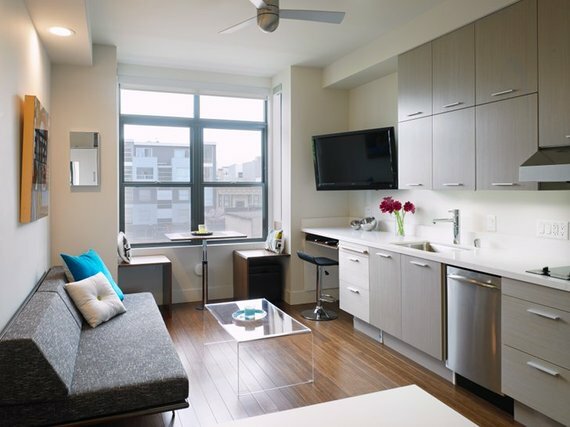 Today, North American cities like Boston, New York, Seattle, and San Francisco are experimenting with micro-apartment layouts that involve creative, sustainable building design along with lifestyle amenities. Admittedly, small or micro apartments have limited space for gardening and growing your own food. Yet, gardening doesn't always refer to the traditional sense. 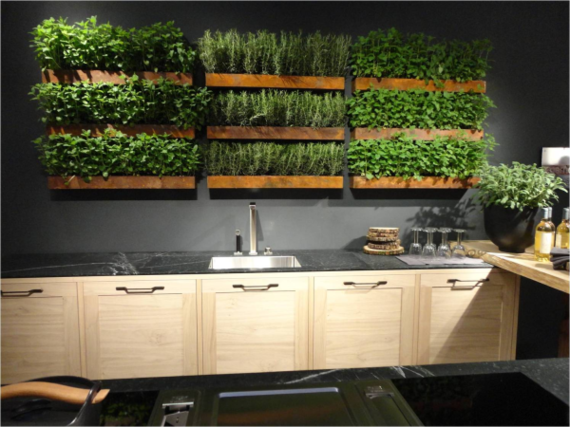 There are plenty of innovative micro gardening solutions designed specifically for the urban dweller pursuing the micro living trend. 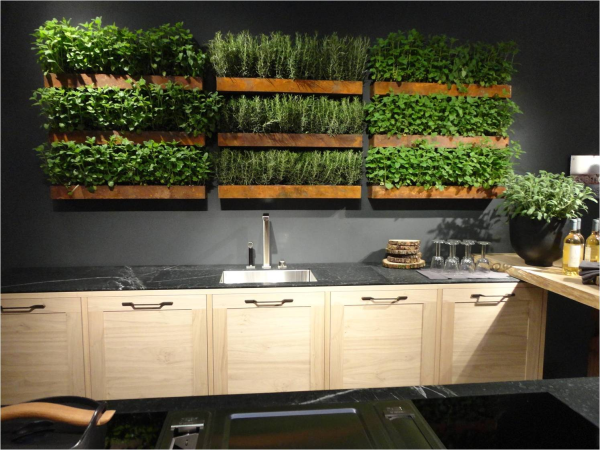 Micro gardening, or micro farming as it's sometimes called, can come in many shapes and sizes but the one that is most space efficient is vertical growing. Maximizing your space by scaling your plants and garden to fit the size of your area, window, or deck helps to prevent making your area feel smaller. Many of these gardening solutions can extend beyond the home and find themselves useful in cubicles and office kitchens as well. So you have a micro garden but what can you grow? A great option for growing in small spaces is microgreens or wheatgrass. Not only are they simple for beginners, but they are great for improving your health. In fact it has been said that microgreens contain a higher concentration of nutrients and vitamins. 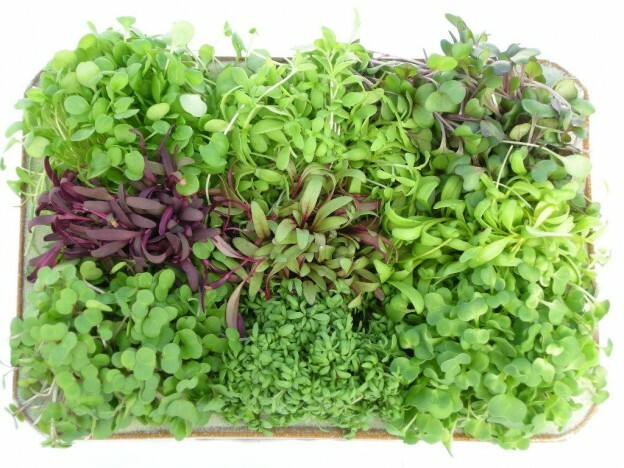 Some varieties of microgreens contain up to 40% more nutritional value. Vitamin D, calcium, and iron are higher in microgreens compared to their counterparts - mature plants. It doesn't take a large footprint to grow these of these many, tiny varieties of leafy greens, sprouts, and herbs. A popular urban agriculture choice, microgreens have both health and environmental benefits. Eating local is now easy and convenient. Big ideas come together through small daily efforts. These micro advancements lead to great economic, social, and environmental wins. Whether you live in one of these spectacular micro units or a single family home small improvements through space planning, or eating healthy, these micro changes all eventually improve your life.